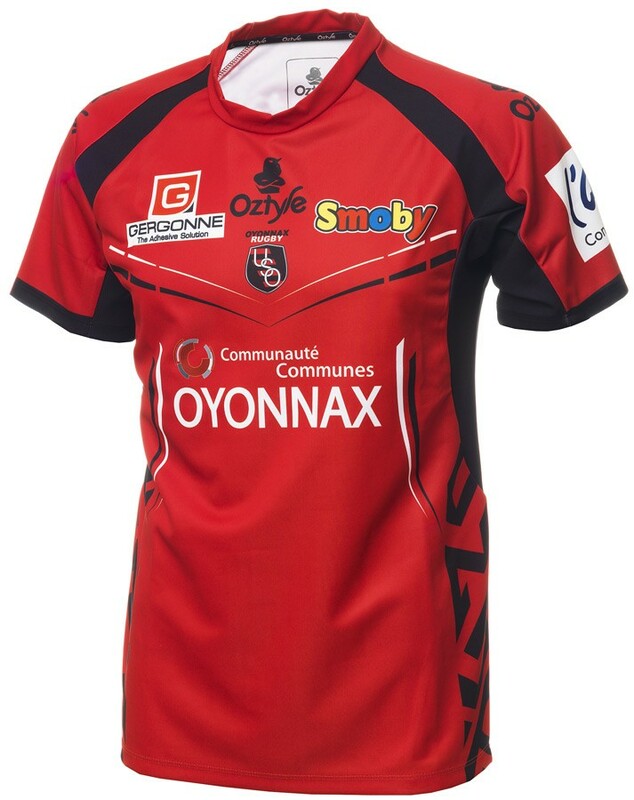 We’re approaching the tail end of our run-down of Top 14 shirts, but there’s still plenty of jerseys to get to grips with, both bad and good, so let’s get on with it. The Racing jersey is such a classic affair, it’s quite hard to get it wrong really. But it’s still good to know that the likes of Johnny Sexton, Jamie Roberts and Day Lydiate won’t be looking like dickheads when they stroll out for the Paris club. It’s beautiful in its simplicity – the sky blue and white hoops are given plenty of room to breathe, while the badge, sponsor and manufacturer are kept tight in the centre, giving it a rare bit of jersey symmetry. That collar, while not exactly retro, is pretty tasteful too, capping off what has to be one of the jerseys of the season. 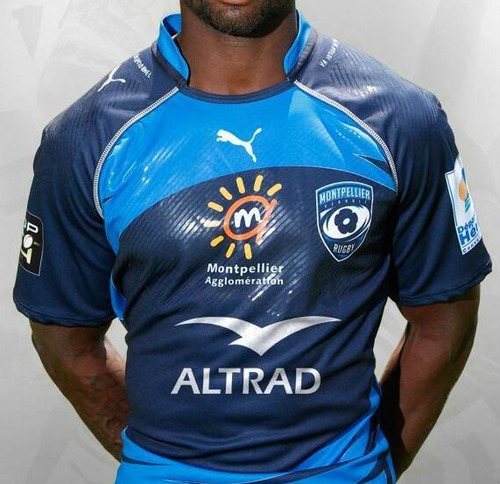 Since forcing their way back into European relevance, Montpellier have showed an affinity for the more, uh… esoteric shirt choice. Grading on that comically skewed curve, we guess you could call this shirt a bit of a win for Montpellier – it’s not immediately horrifying, after all. 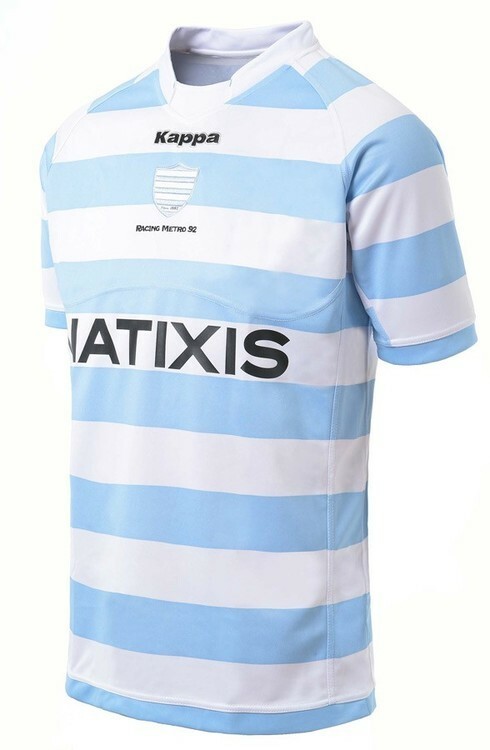 That said, the light blue ‘waves’ are a bit of a mess – self-conscious modernity rarely works in shirt design, and this thing will look dated before the end of the season. We’re nearly there! Join us tomorrow for the final part of our round-up, PLUS some wild card shirts thrown in for shits and giggles!